Tamil Rockers had earlier hinted that it would upload the HD print of Sarkar on its site. It appears the move by anti-piracy cell of Tamil Film Producers’ Council to ban domains involved in piracy has not worked, as it was revealed that Thalapathy Vijay’s movie Sarkar was leaked online by Tamil Rockers just hours after its release. The leak of the full version of the movie by the website, which is known for hosting pirated versions of films, has enraged fans. Tamil Rockers had earlier hinted that it would upload the HD print of Sarkar on its site a day before the film released, and though TFPC tried its best to stop the pirated copies from going out, the film was leaked online. 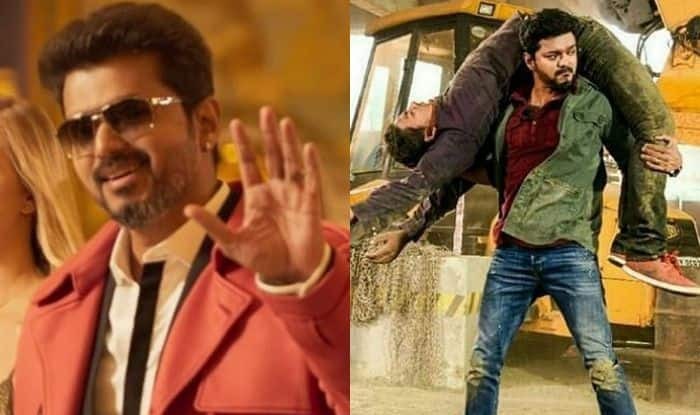 On October 5, it was reported that the songs from Sarkar had been leaked online by Tamil Rockers, and while makers of the movie took notice and blocked all the pirated sites carrying the songs, Madras Rockers, another pirated site, released the film’s music. The teaser of film had managed to get around 11 million views on YouTube in just 6 hours when it released, and fans had been raving about how Vijay looks in the movie which is based on politics. But when the movie released on November 6, it got mixed reviews. The plot of the movie revolves around a successful NRI CEO who returns to India for voting in elections but finds his vote has already been exercised. He enters politics and says that he will bring about a change in the society in one day. He takes on the political bigwigs and thugs who stand in his way, the way he took down his corporate opponents. The movie was co-written by B Jeyamohan, music composed by AR Rahman, cinematography by Girish Gangadharan, edited by Sreekar Prasad and produced by Kalanithi Maran under the banner Sun Pictures. Disclaimer: Piracy is a crime under the Copyright Act in India. The purpose of this news item is to make you aware of the websites operating illegally in the country. We strongly urge our readers to stay away from such websites let alone downloading any content from these sites.